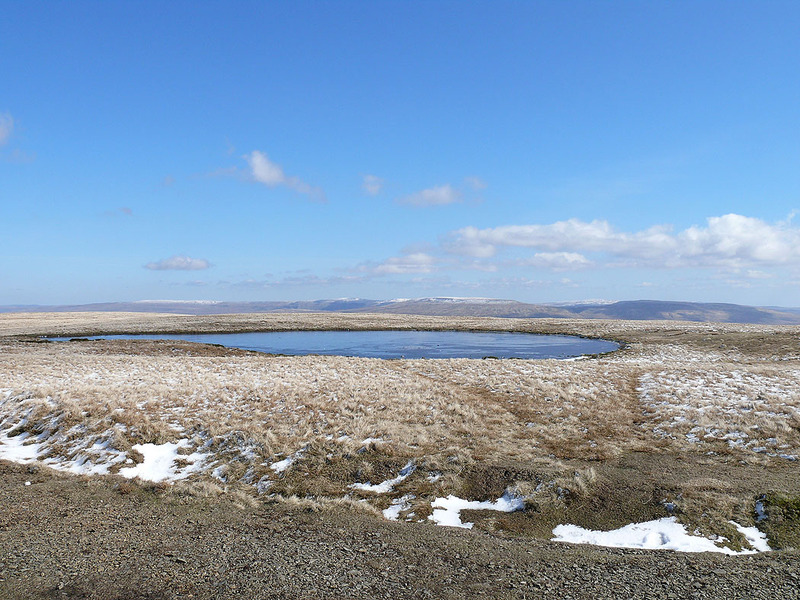 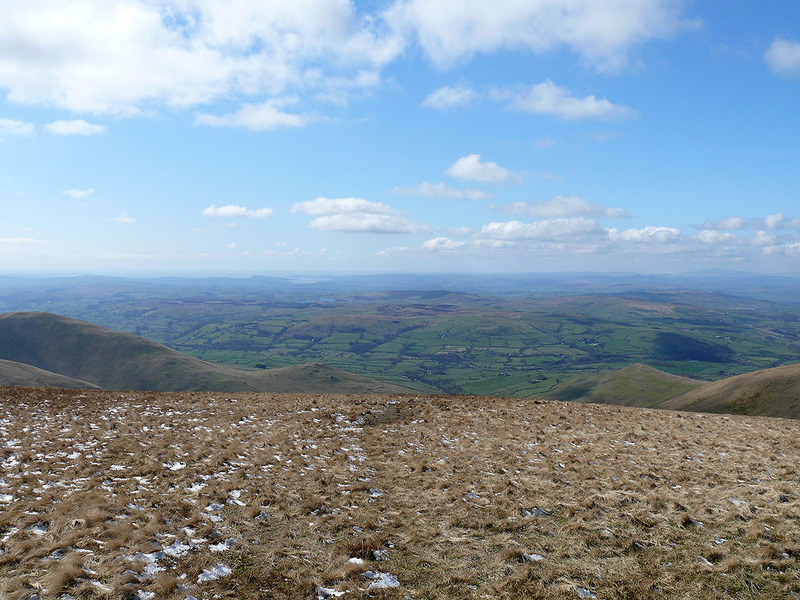 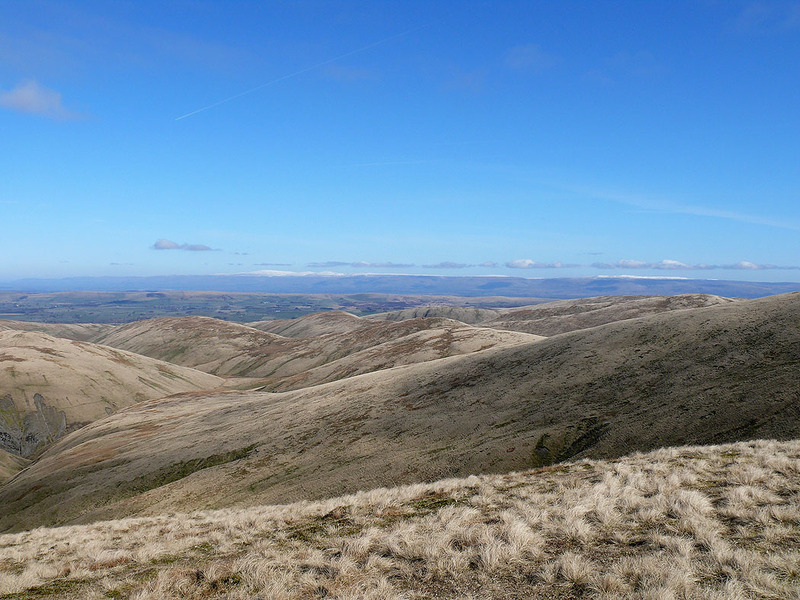 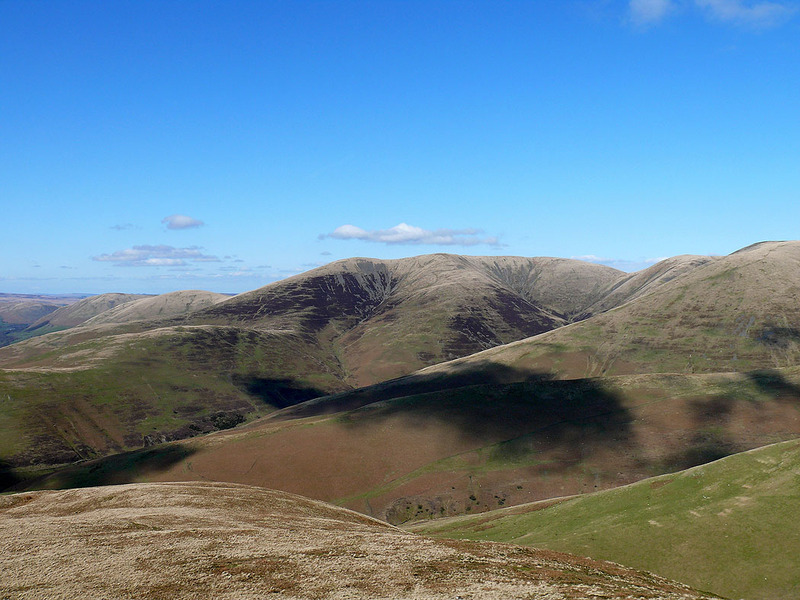 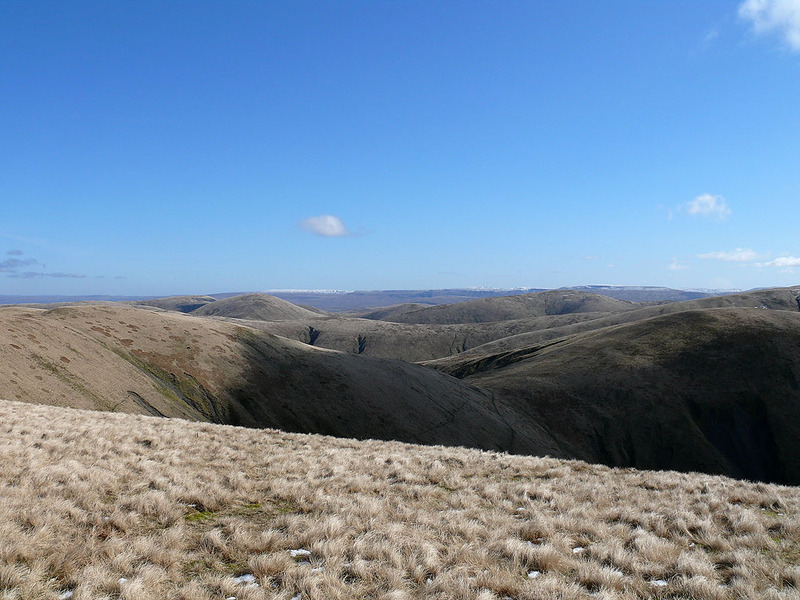 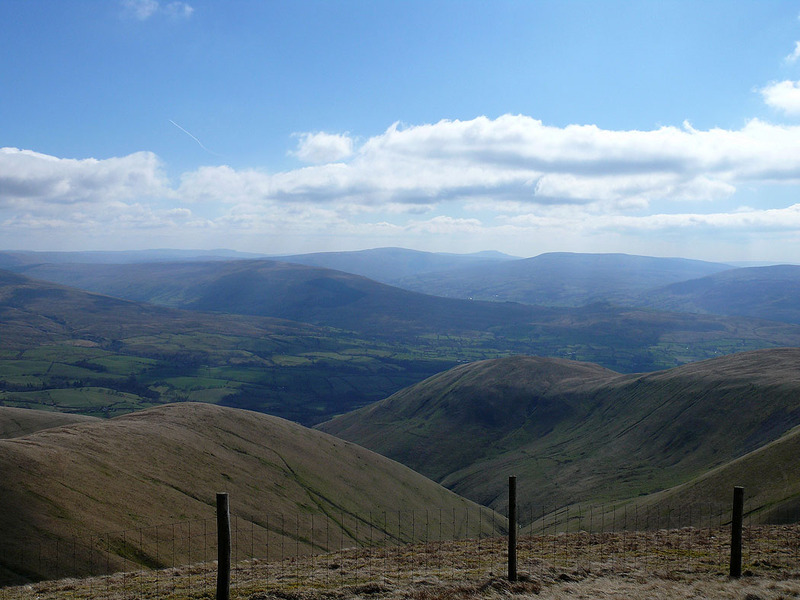 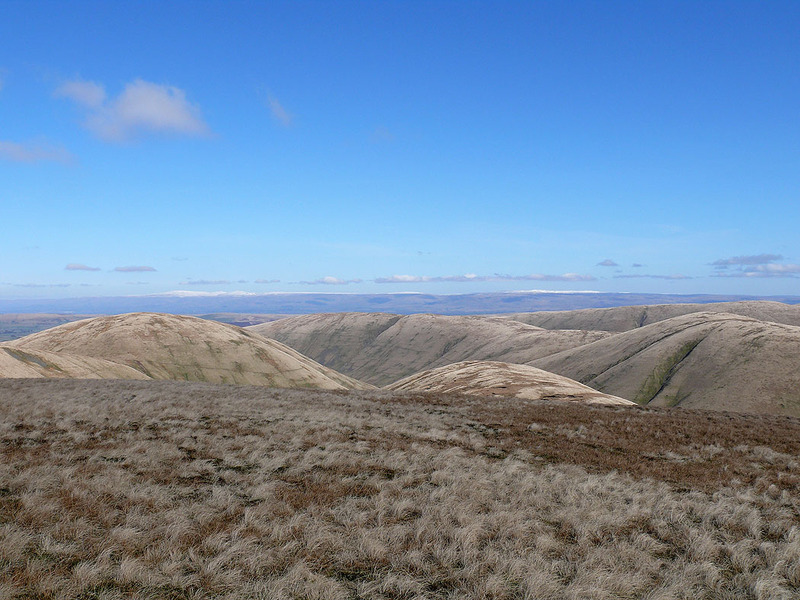 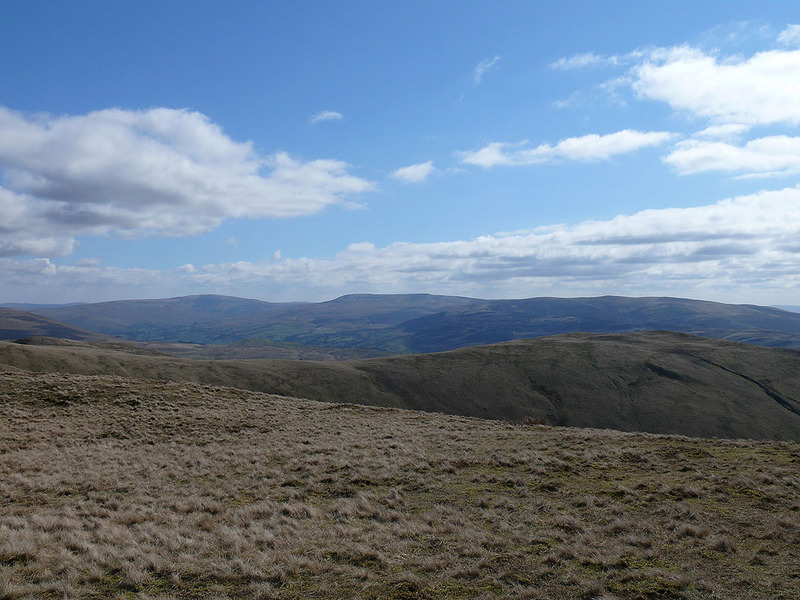 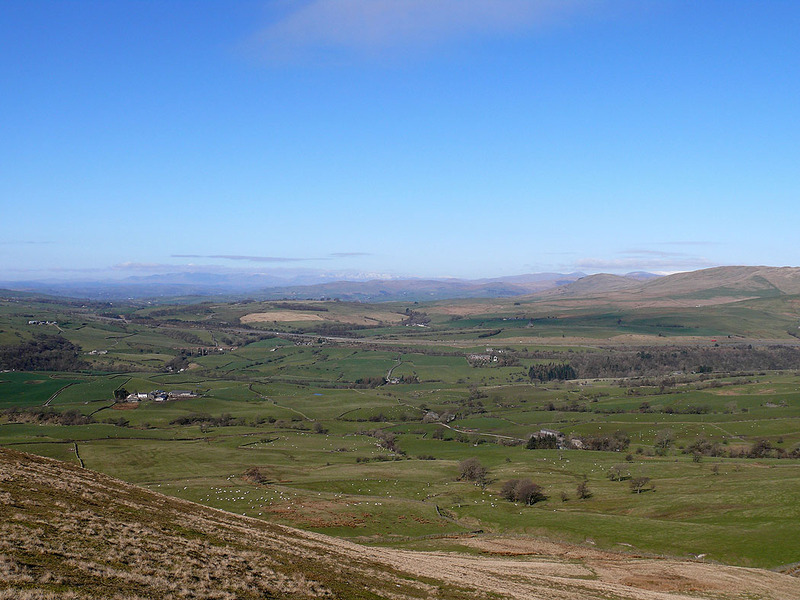 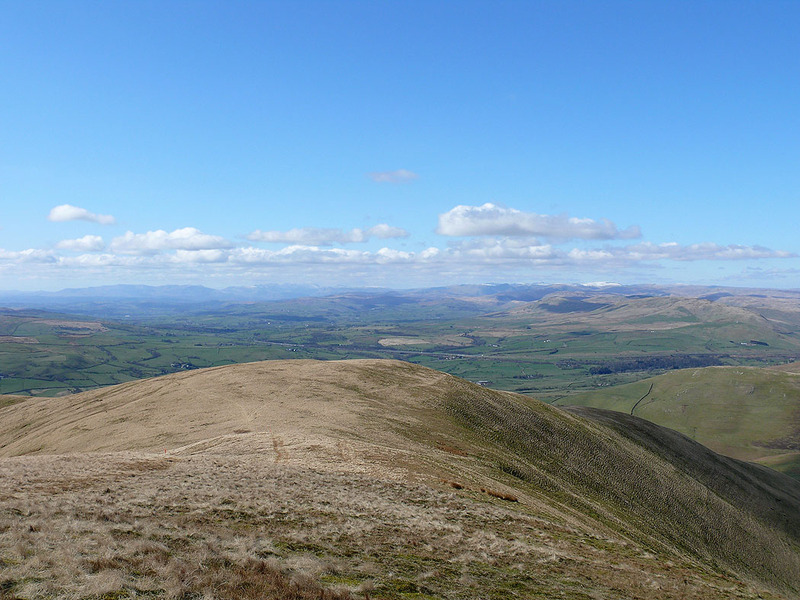 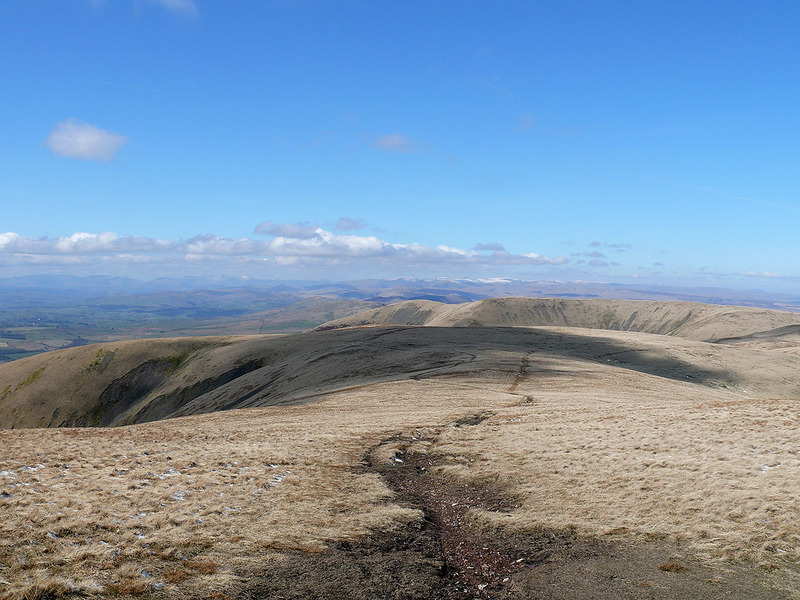 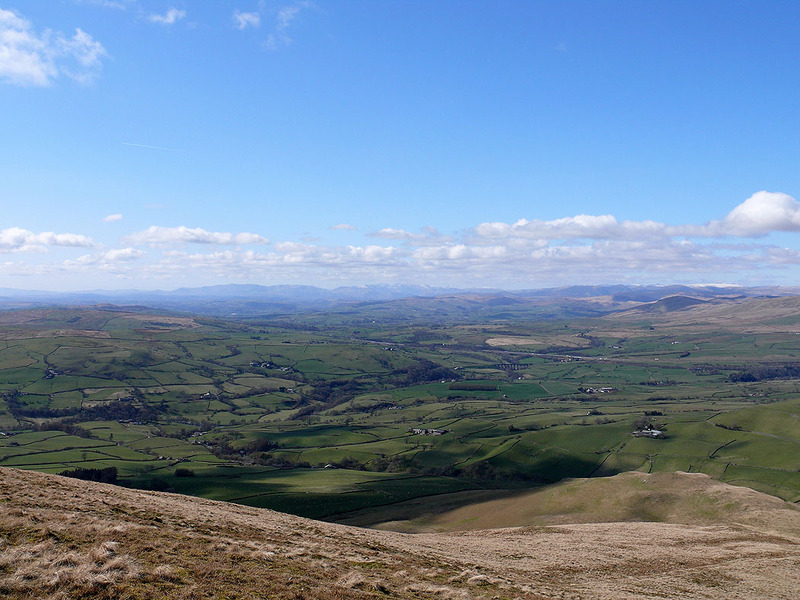 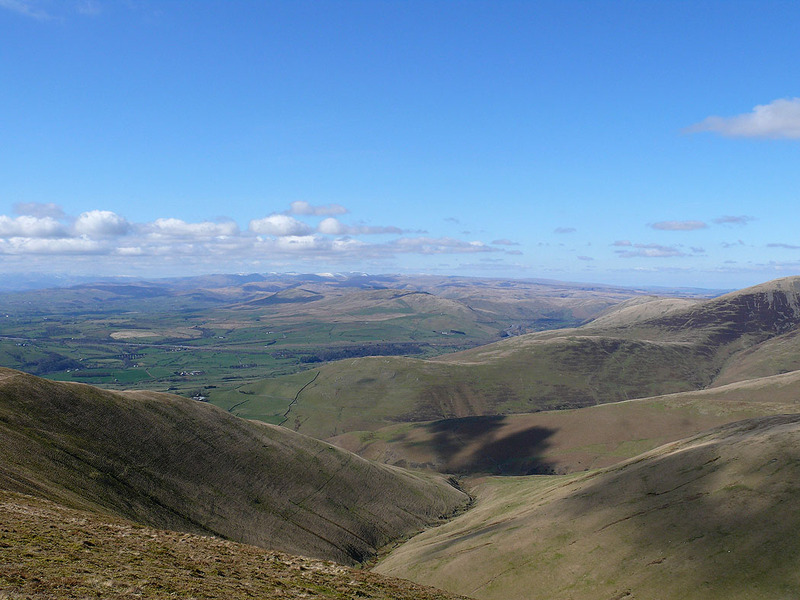 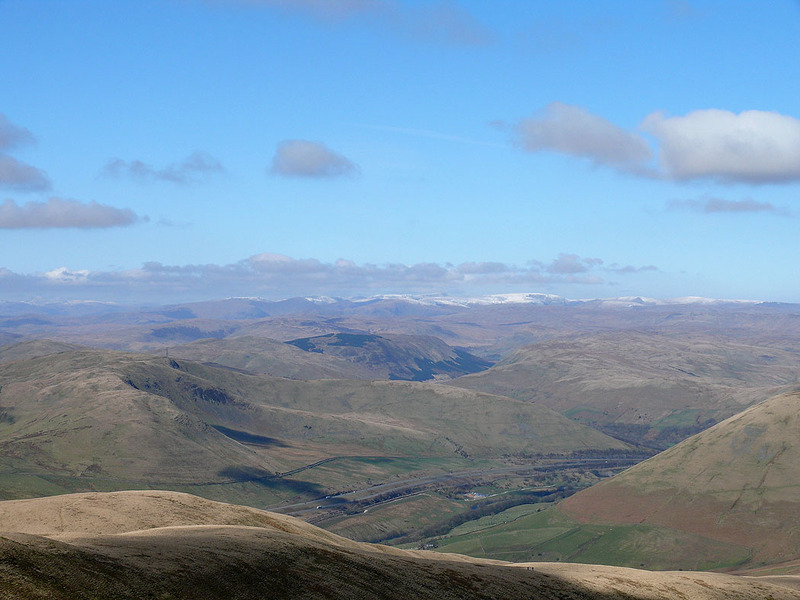 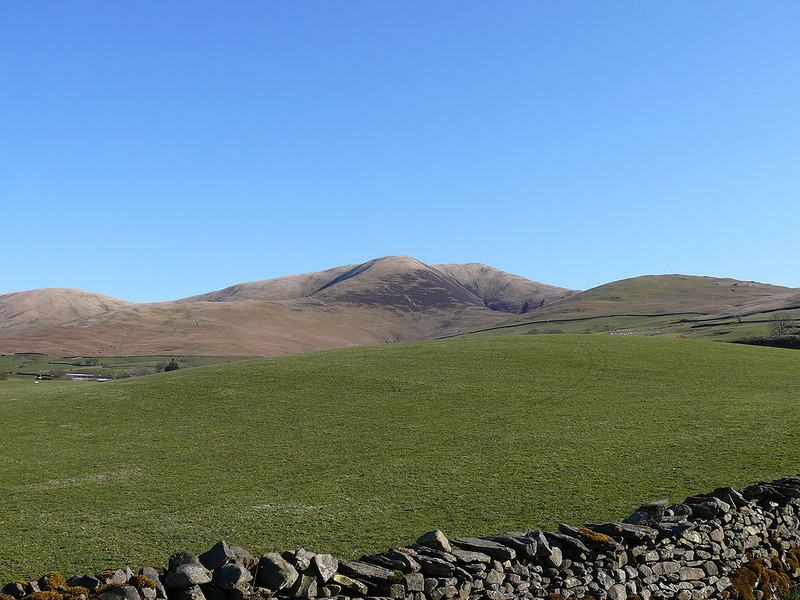 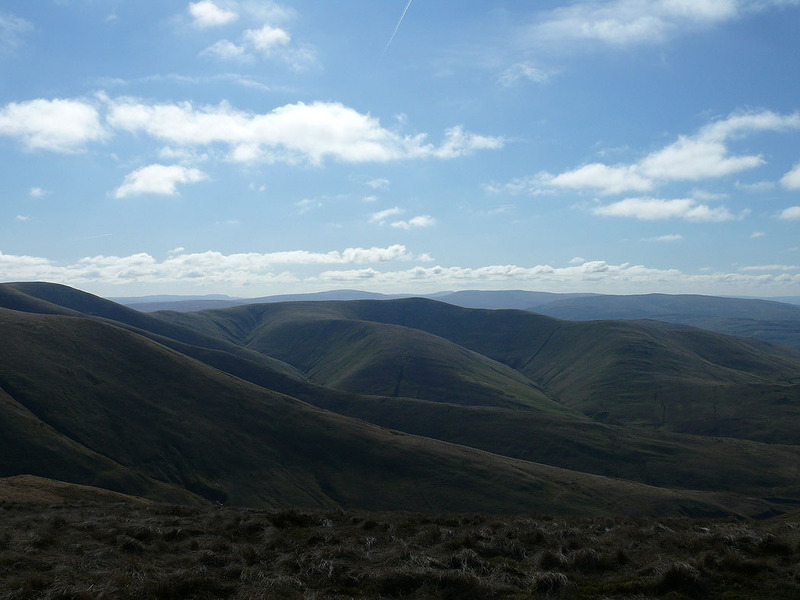 A great walk across the tops of the central plateau of the Howgills. 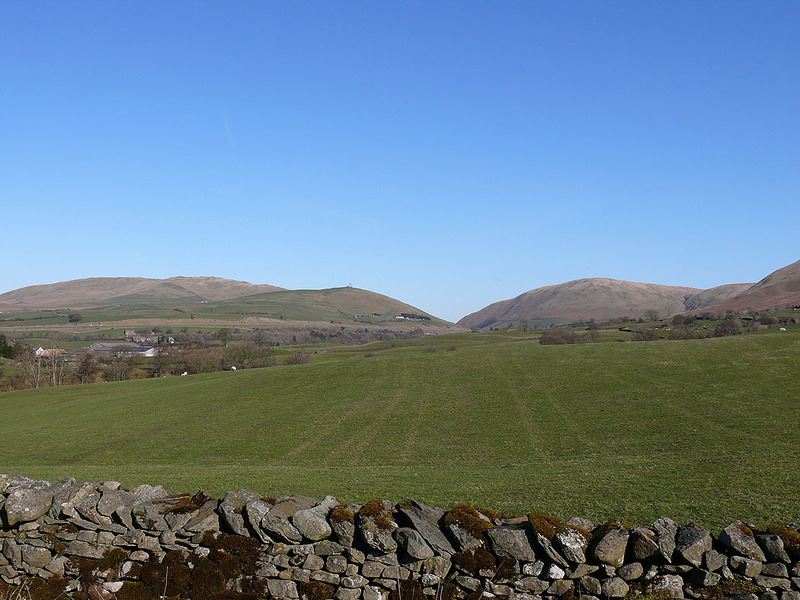 I started this walk by parking on the grass verge of the lane that heads from Four Lane Ends down to the Crook of Lune Bridge. 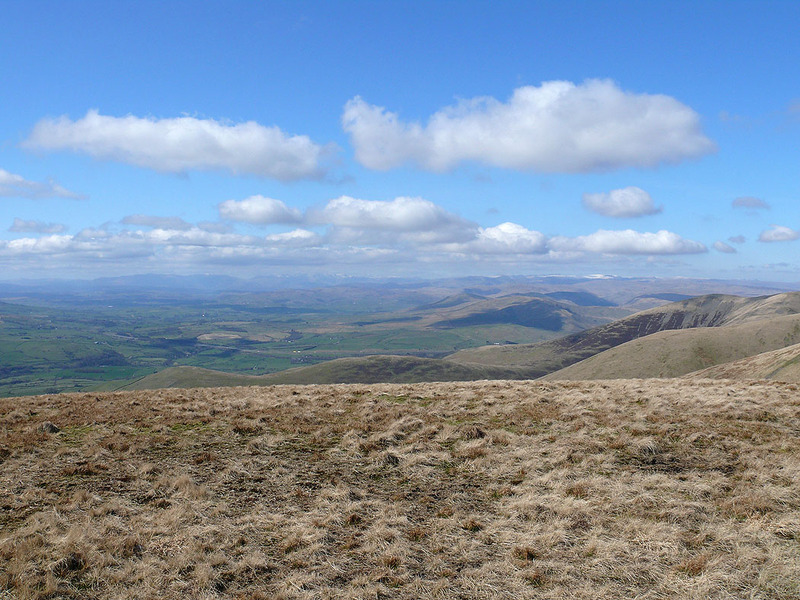 I then took the bridleway past Castley to open access land to climb to the top of Castley Knotts. 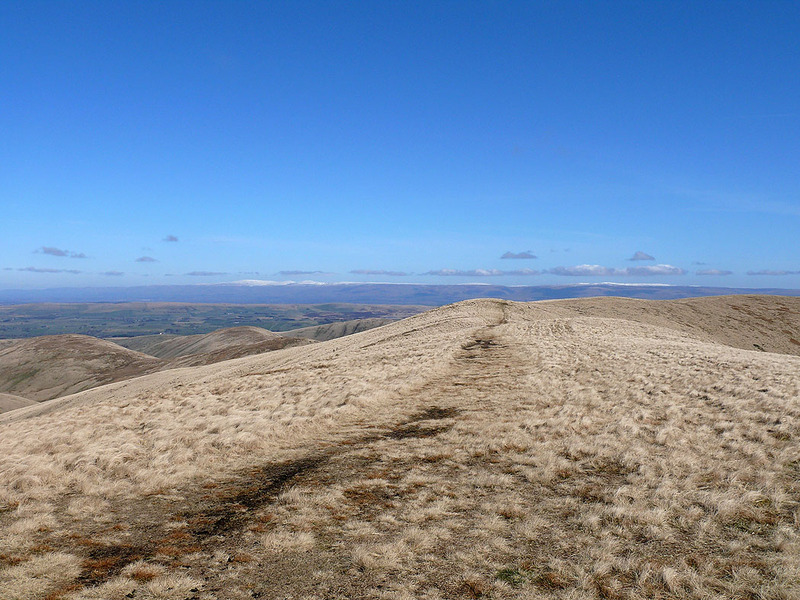 I then walked across Brown Moor before I made the steep ascent of Fell Head. 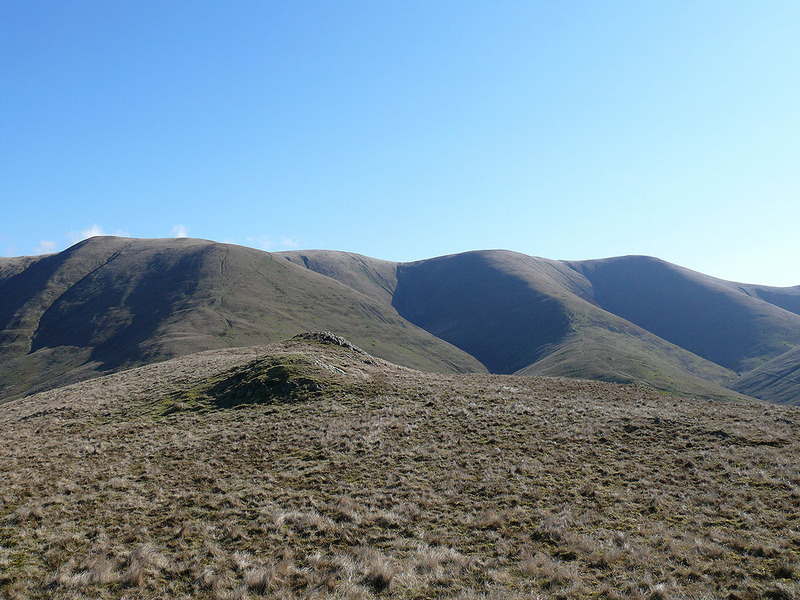 It was then a stroll across the tops of Breaks Head and Bush Howe to arrive at the high point of the Howgills, The Calf. 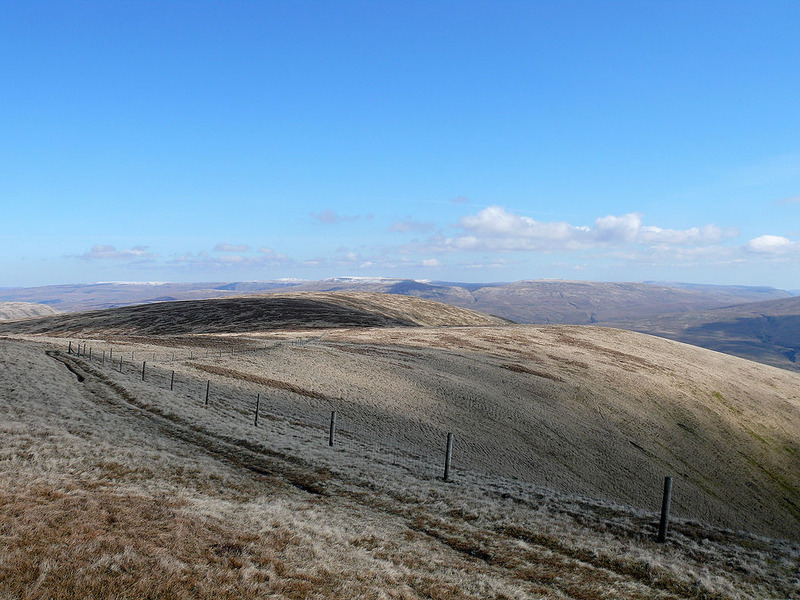 I then walked across to the summit of Calders before descending Rowantree Grains and then upto the summit of Arant Haw. 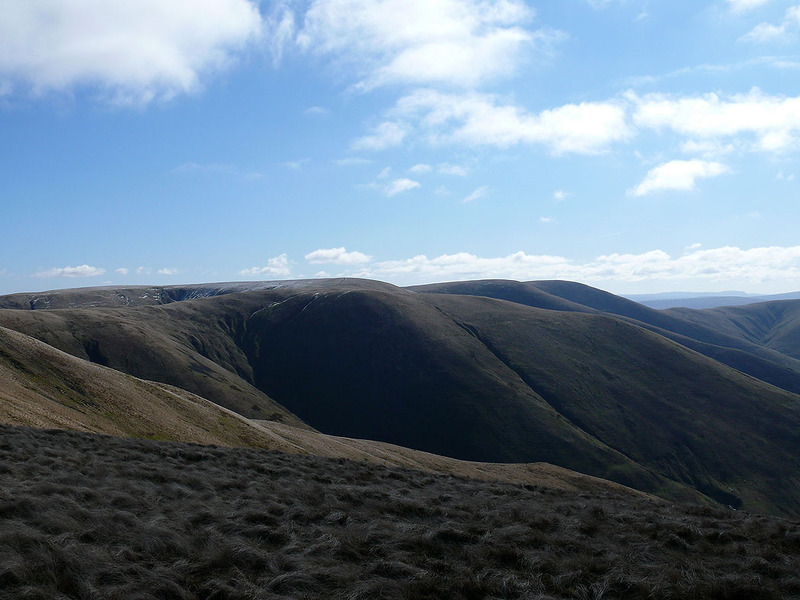 My route of descent was down Nab and Seat Knott to Chapel Beck. 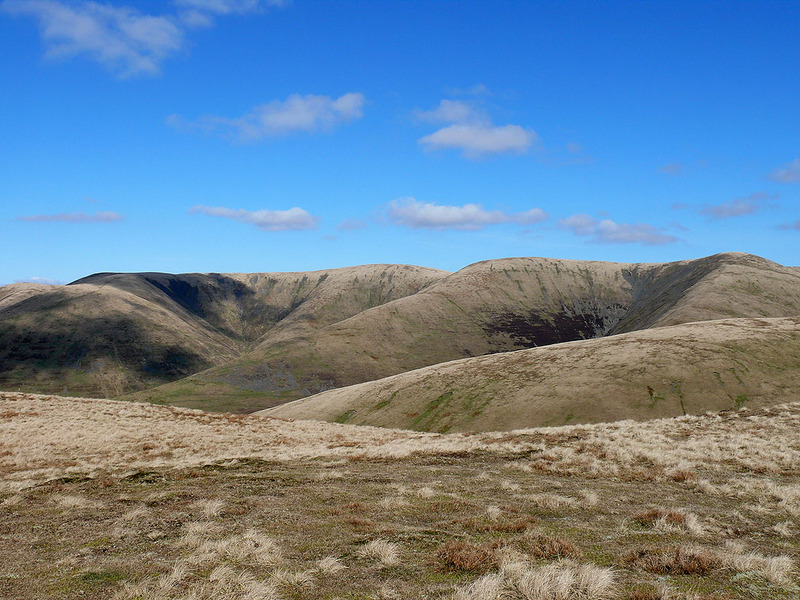 I forded the beck and joined the bridleway back to Four Lane Ends. 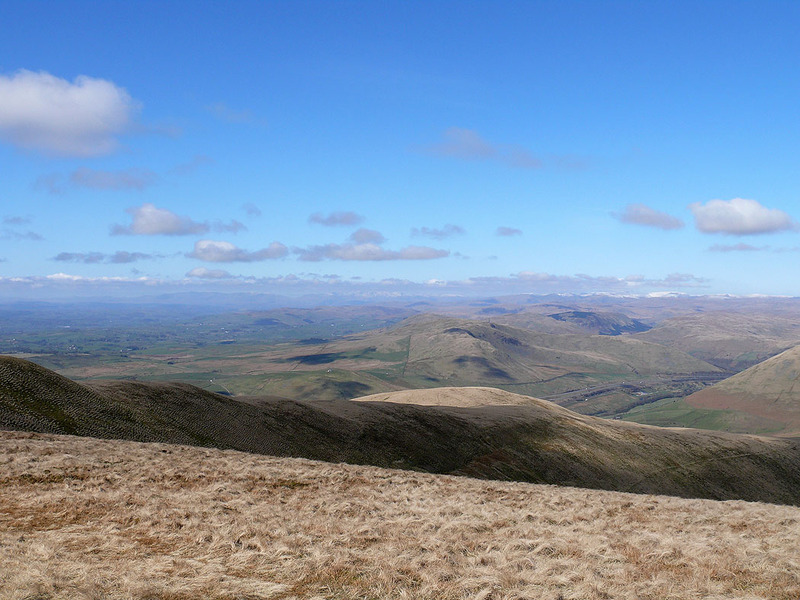 On the summit of Fell Head and the view across to the Lake District fells. 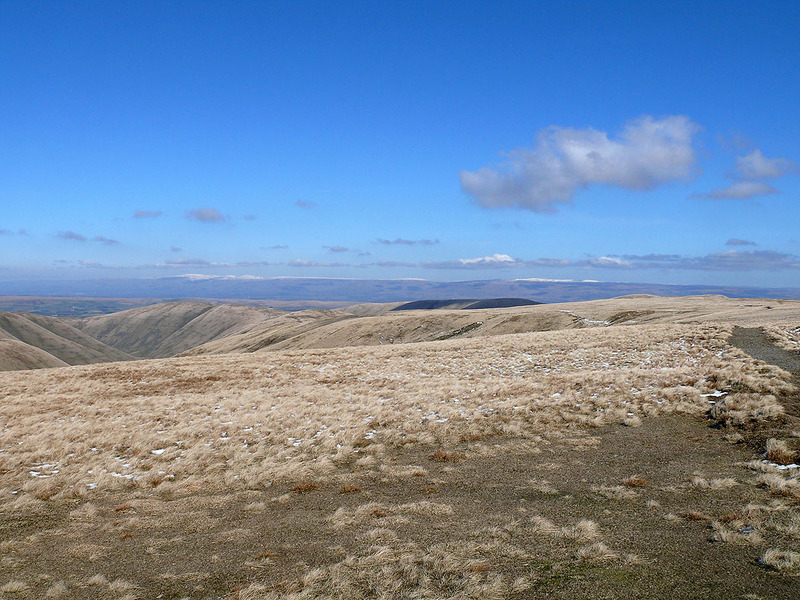 The fell on the right with plenty of snow is High Street. 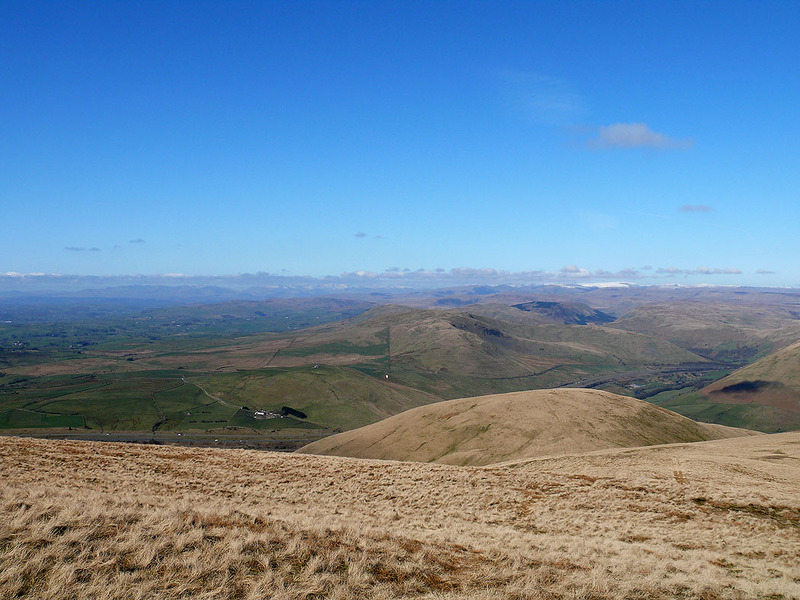 The view down Swarth Greaves Beck and across to the Lake District fells from Arant Haw. 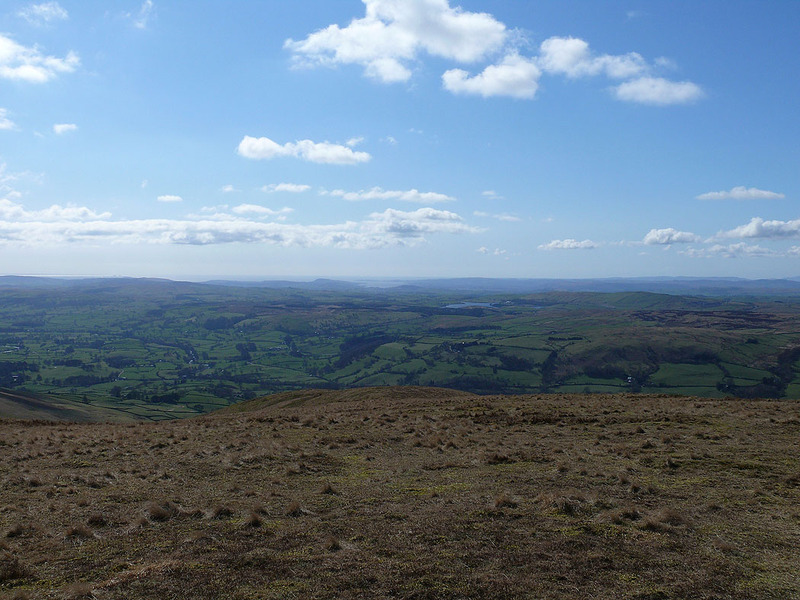 My route of ascent over Castley Knotts and Brown Moor to Fell Head can be seen. 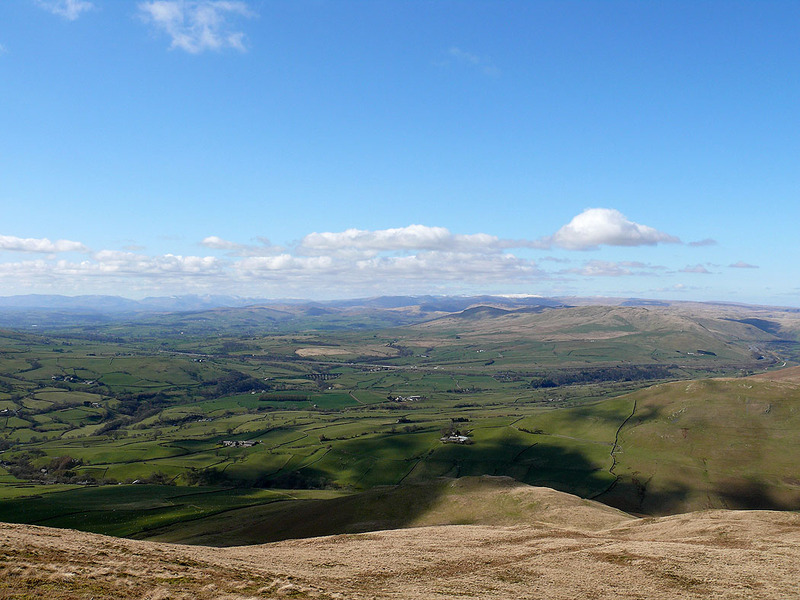 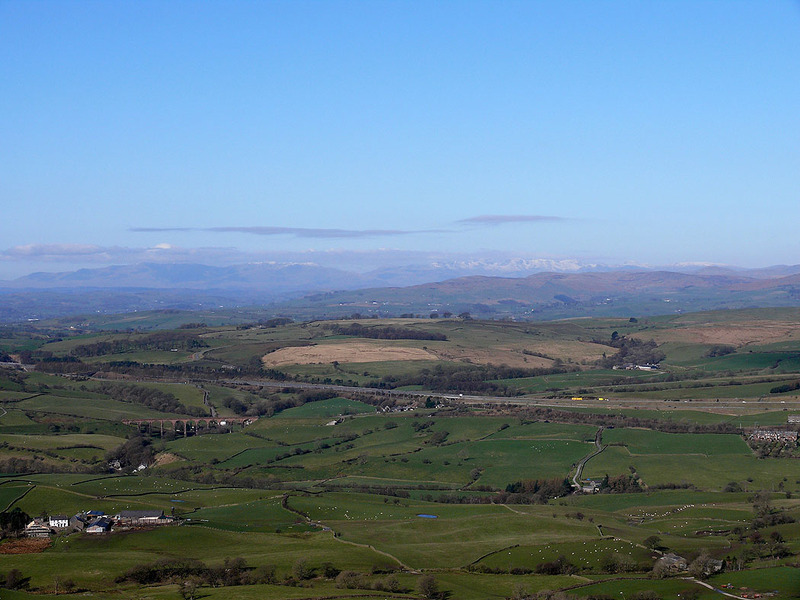 A couple of shots across to the Lake District fells as I head down to Seat Knott..